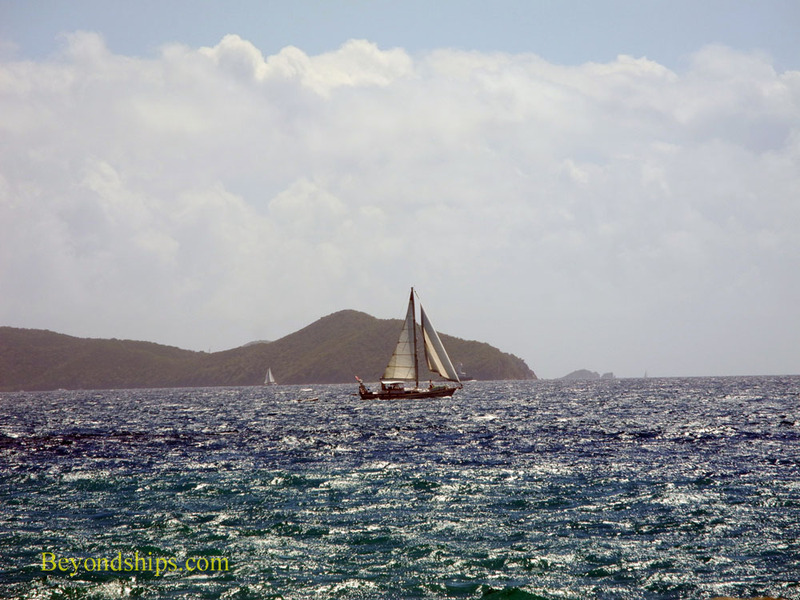 Tortola is a pretty island with towering mountains and white sandy beaches. It has not been as commercialized as some of the better known Caribbean islands and so provides more of a secluded escape. At the same time, this means that there are less tourist-oriented facilities and so it may seem at first blush that there is not as much to do. However, the island is strong on what made the Caribbean famous - - white sand beaches, water sports and sailing. Only about 22 square miles, Tortola is the largest island in the British Virgin Islands. 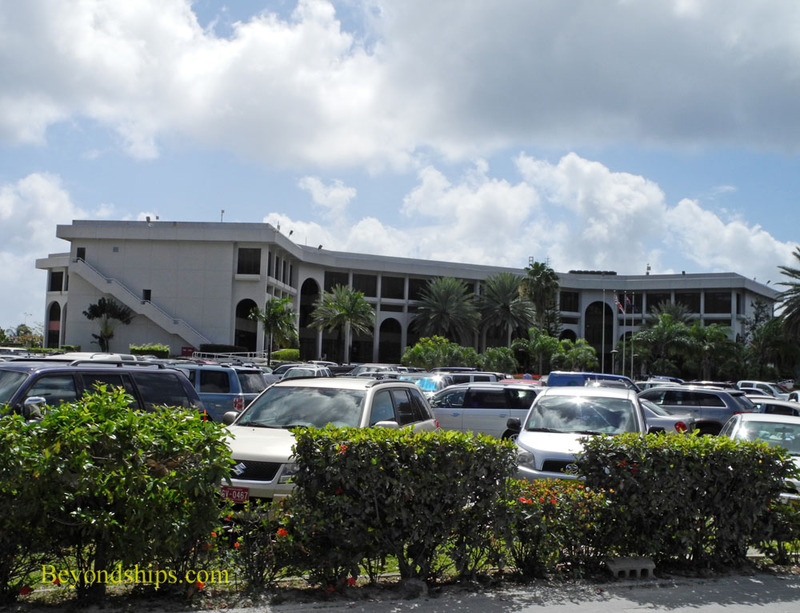 It also acts as the island chains governmental center. However, the island does not seem densely populated. Since the 1960s, Tortola has been an offshore financial center. 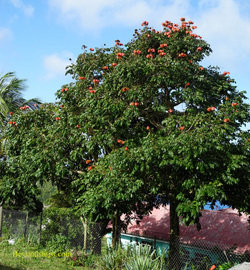 As a result, the island is one of the most prosperous in the Caribbean. It also has an extremely low crime rate. 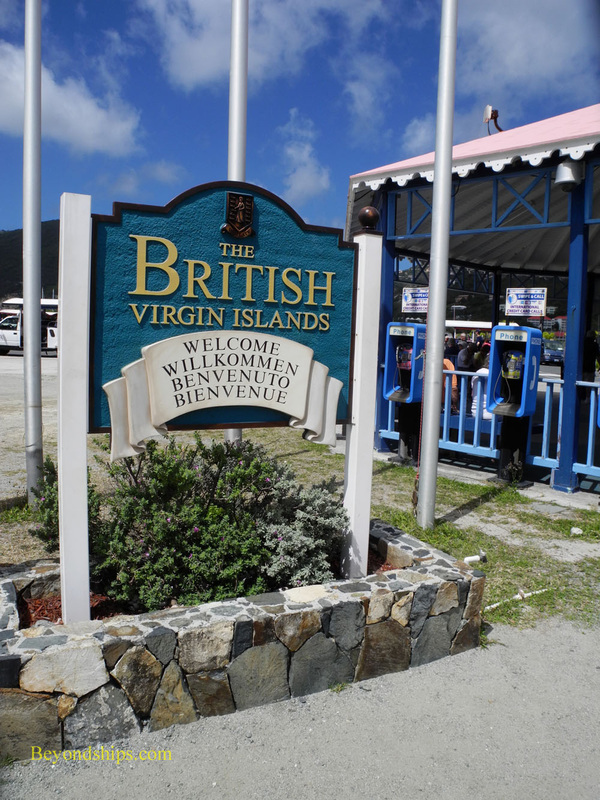 Although the British Virgin Islands (“BVI”) is a British Overseas Territory, the official currency is the U.S. Dollar. English is the island's primary language. Cruise visitors to Tortola often use it as a jumping off place for visits to other parts of BVI, particularly Virgin Gorda. There is also ferry service to St. Thomas in the U.S. Virgin Islands, some 22 miles away. Above: Sailing is popular in the British Virgin Islands. Below: The British Virgin Islands government offices in Road Town, Tortola. 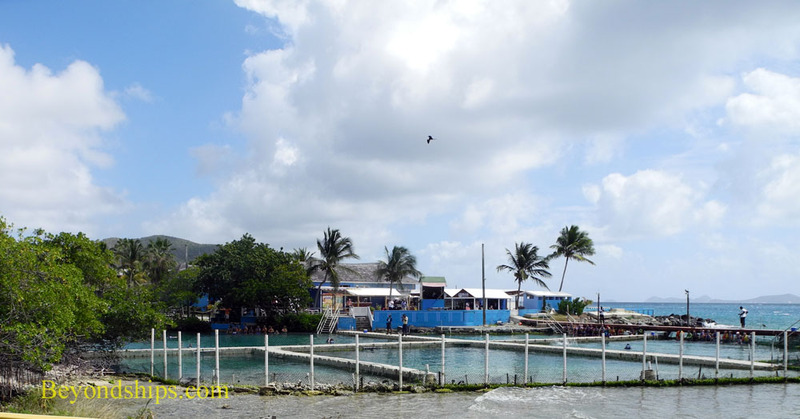 Road Town is Tortola's only urban center. It has developed noticeably in the last few years. 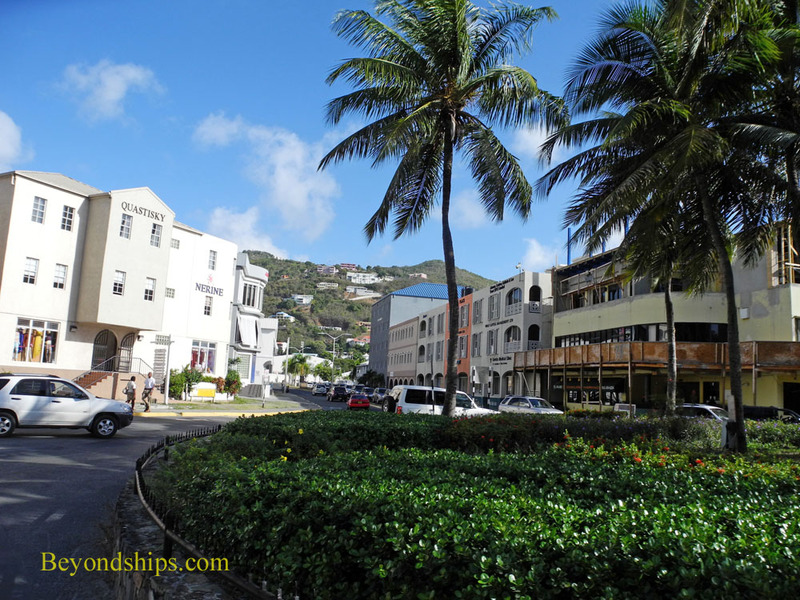 Still, it is not a shopping center like Charlotte Amalie on nearby St. Thomas. However, with the construction of a cruise village by the cruise pier, this is beginning to change. 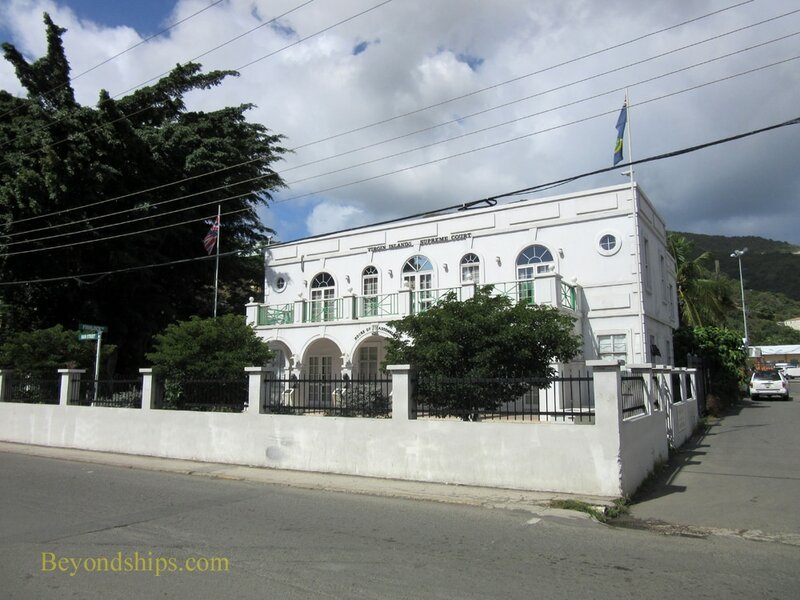 Among the things to see in Road Town are the Old Government House Museum, the Virgin Islands Folk Museum, the Old Cotton Works Museum, the J.R. O'Neal Botanical Gardens and the Tortola Dolphin Discovery. Above left: A shopping market in Road Town. 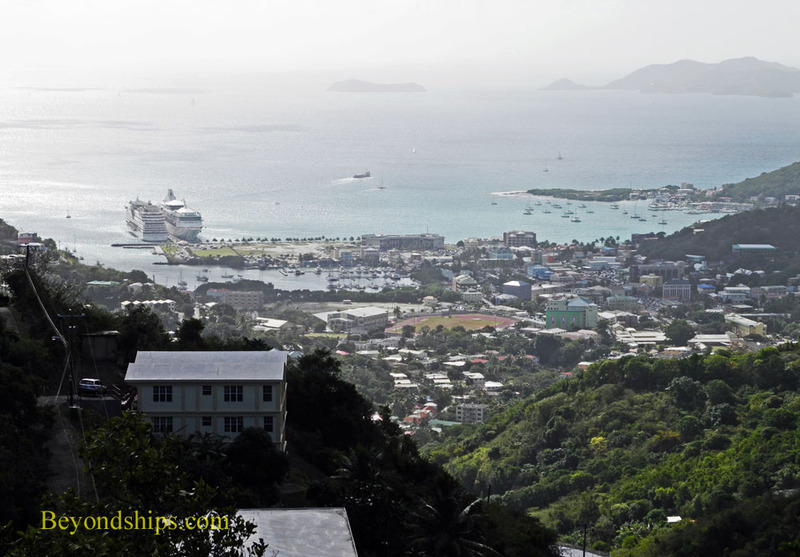 Above right: The Tortola Dolphin Discovery on the edge of town. Tortola, it is often said, was named by Christopher Columbus. According to the story, he and his sailors were so impressed by the turtle doves they saw nesting on the island that they named it the “land of turtle doves.” However, not content with such a nice story, some historians point out that Columbus actually named the island "Santa Ana" and that the name "Tortola" is actually a corruption of the name the Dutch gave the island. 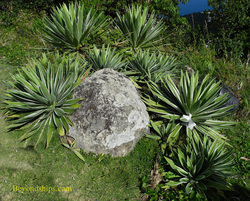 In any event, Tortola's first inhabitants were not Europeans but rather Arawak Indians who arrived in about 100 B.C. As happened throughout this area, they were displaced in the 15th century by the Caribes, for whom this entire area is named. Not long after the Caribes conquered the Arawaks, Christopher Columbus came upon the island during his second voyage to the New World. Although he claimed the island for Spain, the Spanish took little interest in the island. The Dutch, however, established a permanent settlement on Tortola in 1648. It was founded by Jost Van Dyk who was a privateer and the settlers used the island as a base for privateering. Later, the Dutch West India Company encouraged its use in the slave trade. In 1672, Tortola was captured by the British. It remains a British territory to this day. During the mid-18th century, a plantation economy developed on Tortola. With it, the number of slaves increased from 547 in 1717 to 6,127 by 1756. In 1807, the British government abolished the slave trade and hundreds of Africans freed when their slave ships were captured by the Royal Navy were settled in Tortola. However, since the law had not freed people already enslaved, there was still a large slave population on the island. Emancipation did not come until 1834. Without slavery and following several severe hurricanes, the island's plantation economy collapsed. Poor economic conditions led to unrest and most of the white population left the island. The economy continued to decline for the next century. In the 1960s, the island became an offshore financial center. This completely reversed Tortola's fortunes. 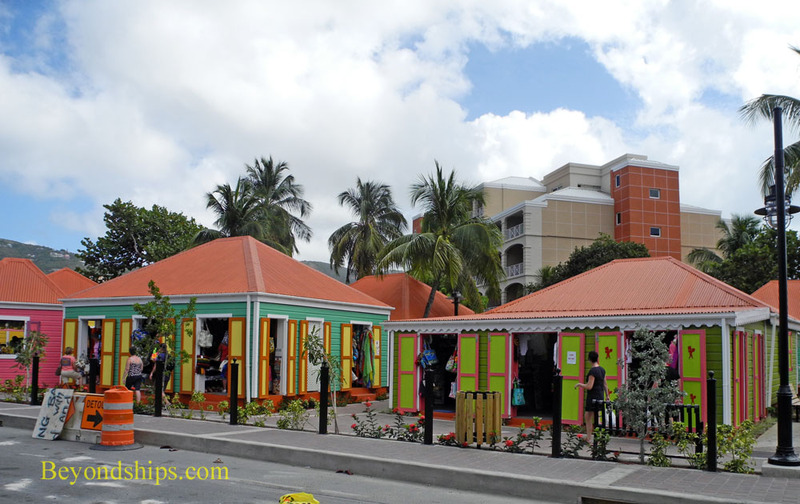 It became quite prosperous and now has one of the highest per capita incomes in the Caribbean. Above: The Assembly and Supreme Court building.